Keep more of your work local. Get high performance and high reliability for all your storage needs with sequential performance up to 226 MB/s and an MTBF rating of 1.4 M hours. A warning system is built right in. Receive auto-generated fault alerts if your hard drive is about to fail. Self Monitoring Analysis and Reporting Technology (SMART) hard drive technology allows the hard drive to self-monitor and raise flags if an imminent failure is predicted. 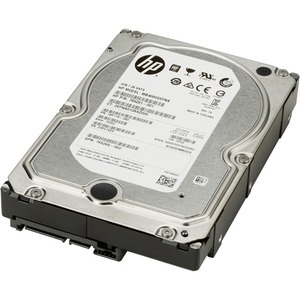 Simply insert the drive into any available 3.5-inch internal HDD bay of your HP Z Workstation.